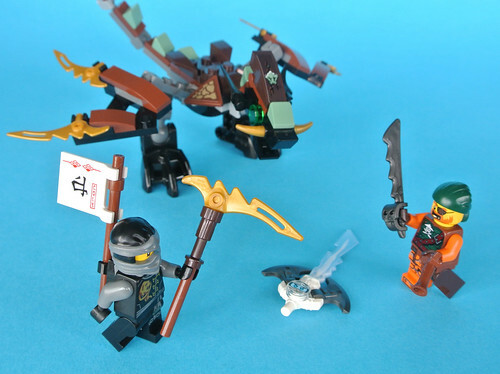 Dragons are an ever-popular subject and the NINJAGO theme has certainly been able to take advantage of that as almost twenty have been released since 2011. 70599 Cole's Dragon is one of three included in the Skybound subtheme and is priced at just £7.99, making this the smallest retail set of the wave. Despite its small size this set offers an impressive model, two excellent minifigures and abundant potential for play. It is a marvellous package and one which should not be overlooked in my opinion, hence I am posting this review!